A church in Ho in the Volta Region turned into a mini NDC convention this morning when the pastor boldly said Jesus Christ and Mohammed will all vote for President Mahama, so it would be prudent his congregation follow these religious leaders. Without the need to provide any reasonable evidence that Jesus Christ or Mohammed even has Ghanaian voters’ ID, the congregation shouted out loud in agreement—all because, faith is all that’s needed to receive a word from God. According to pastor Mawuli Coffie of the End Time Survival Church, God has revealed to him that President Mahama should be given another 4 years term and it has already been voted in heaven that he deserves it, considering all the good things he has done in his short term as the President of Ghana. Apparently, on the day of elections, Jesus Christ and Mohammed with a bunch of angels will descend from heaven to an unspecified polling station, get verified and cast their votes for President Mahama—the reason why members of his church should tow the line and vote for Mahama. This may sound absurd but it’s acceptable in the realm of religion where reason and evidence is not require—just faith is needed. 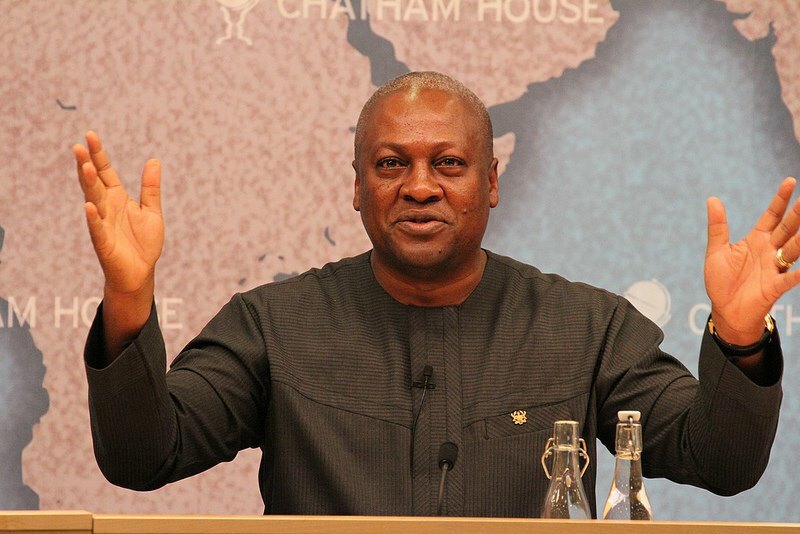 And on the back of faith, all the members of End Time Survival Church will vote for Mahama—we are told.